Can Grey Genetics order genetic testing for me? Yes. If you are located in Illinois, Virginia, South Dakota, Minnesota or Kentucky, your genetic counselor can order testing for you without involving your physician. In other states, we can order genetic testing for you in collaboration with your healthcare provider. Often, a genetic test requisition form asks for both an Ordering Healthcare Provider and another clinical contact person (Receiving Provider, Genetic Counselor, Primary Clinical Contact, etc). Grey Genetics can be listed as this second clinical contact if you have had pre-test counseling through Grey Genetics or through prior arrangement between your healthcare provider and Grey Genetics. If your healthcare provider confirms that they would like us to order testing for you, we can order testing under their name. If it’s a hassle for you to go into your healthcare provider’s office for a blood draw to have testing ordered, we can send you a saliva kit. We may have more options coming soon! Genetic counseling can also help you understand if and how genetic testing might be useful to you. In many cases, review and discussion of family health history may be as or more helpful than any genetic testing results. No, you do not need a referral. While we welcome referrals from physicians and other healthcare providers and can also contract with HCPs to provide genetics consulting and counseling services, we also welcome self-referrals. If you’re not ready to book a genetic counseling appointment but are wondering if your healthcare provider should be referring you to genetic counseling based on your family history or just want a few questions answered before possibly booking, you can also schedule a free 10-minute phone call. While Grey Genetics does not accept insurance, we are happy to provide a receipt that you can submit to your insurer for possible reimbursement. If you plan to do this, you may want to check with your insurer as to whether or not a referral would influence possibility of reimbursement. How should I prepare for my genetics consult? Gather information about your family health history. It’s helpful to know specific diagnoses and ages at diagnosis. No one has perfect knowledge of their family health history. Diagnoses from past generations or those made in other countries are often hard to confirm. Even knowing what is not known and cannot be found out is also helpful! Can you talk to my doctor about genetic testing for me? Is there any extra charge for this? With your explicit permission, we are happy to discuss your case your case with your healthcare provider. We recommend that you first share with them a copy of your consult note. We can answer any questions they may have as well as the potential benefits, risks, and limitations of any genetic testing you are interested in having ordered. If genetic testing is ordered, we are happy to review the results with them and discuss the implications for your personalized plan of care. There is no extra charge for time that may be spent talking with your healthcare provider about your case. We do ask, however, that you have your healthcare reach out to us directly. This keeps us from playing phone tag with office staff. I would like my husband/wife/family member to join the consult. Is there any extra charge for this? There is no extra charge if you would like family members (or friends) to join your appointment. Depending on the reason for your appointment, including family members is often ideal. Being able to include multiple family members in a genetics appointment, even if you live far apart from one another, is one key advantage of telemedicine and telegenetics. I'm concerned about privacy. Who will have access to my information? Information you share with Grey Genetics is kept private. Since Grey Genetics does not accept insurance, we are not obligated to share any information with your insurer. Consult notes are sent to you by secure, HIPAA-compliant email and can be shared by you with your healthcare provider/s only at your discretion. Grey Genetics will only discuss your case with your healthcare provider/s if you give us explicit permission. Whether you are a public figure looking for more discretion than is possible with an in-person consult at a hospital or just an individual who values privacy, your information is treated with same respect. For more details on how we keep your information private and secure, see our Privacy Practices and Terms of Service. Do you offer genetics consults in languages other than English? Yes. Although English is Eleanor’s native language, she also speaks and has previously counseled patients in French and Spanish (and Portuñol). N’hésitez pas à lui écrire en français. No dudar en escribirle en español. If you have requests for other languages, let us know! We are currently growing our Network of Genetic Counselors and may be able to connect you with a genetic counselor who speaks your language, even if you don’t see them listed yet on the site. I am a genetic counselor interested in providing telegenetic consults to patients. Could I work with Grey Genetics? If you are a board certified genetic counselor, the answer is Yes! All genetic counselors working with Grey Genetics are independent contractors. 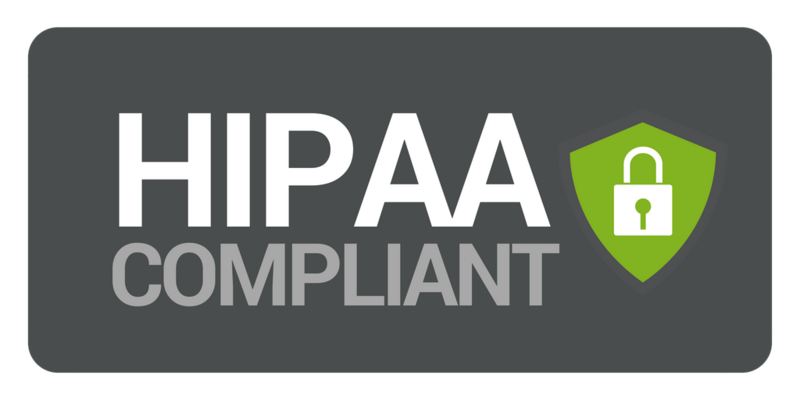 We provide you with HIPAA-compliant tools to allow you to counsel patients within your area/s of expertise. You set your availability and manage your own calendar. There’s no need to commit to a set schedule or a set number of hours; you can block out or open up times on your calendar on your own. To get an idea of what your profile and personal scheduling link would look like, check out our growing Network of Genetic Counselors. It will take you all of 30 seconds to begin the registration process.